The Swivl-Eze Lock'N-Pin power pedestal gives you outstanding, economical performance backed by decades of experience. Lock'N-Pin prevents unintentional detachment for seat mounts, bases, posts and bases. 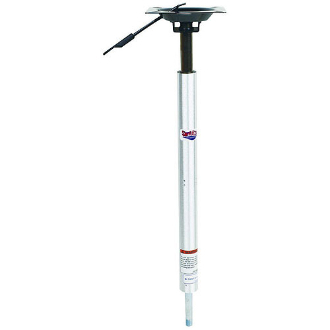 Adjustable height power pedestal with integral seat mount adjusts from 24" - 30".